This New Moon tomorrow (Aug 25, 7:13 am pacific time) is taking place in the constellation of Magha. Magha is symbolized by a throne and a palanquin. It is a royal constellation. The king goes on his visitations on palanquin. Paramhamsa Yogananda and Maharshi Mahesh Yogi had their Moon in Magha. Yogananda was famous for his royal presence on stage. Maharshi Mahesh Yogi had celebrities as his devotees. 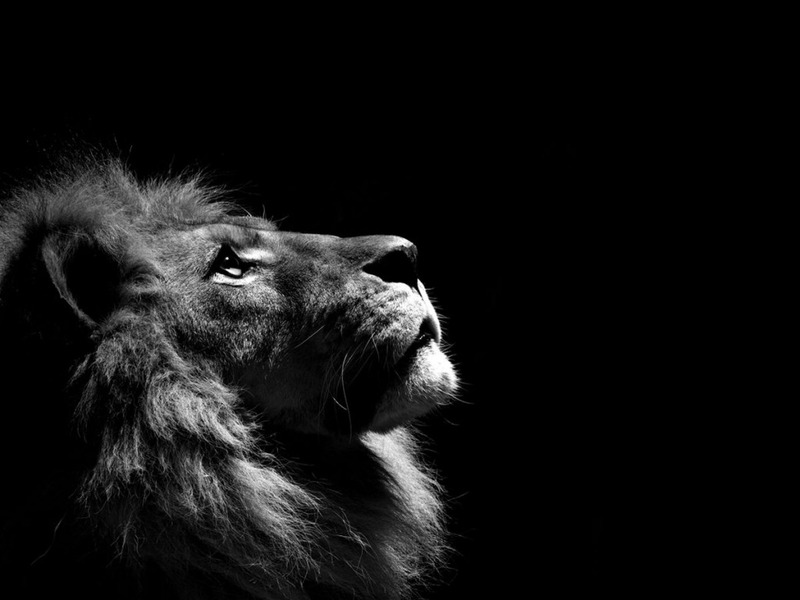 May we roar like a lion in the depth and quietude of the dark night of this New Moon. This entry was posted in Jyotish on August 24, 2014 by illuminatelifetoday. 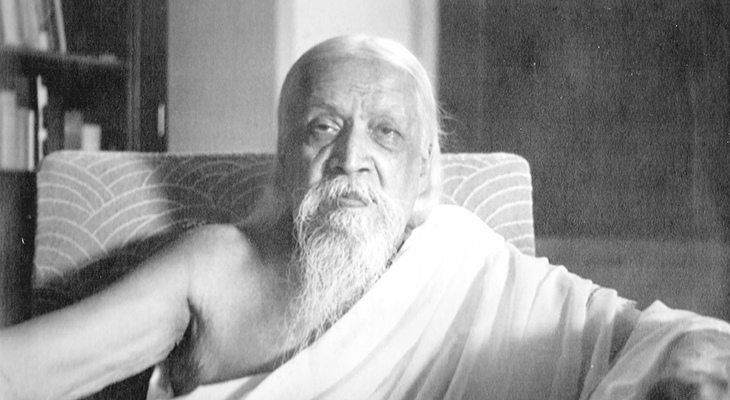 Sri Aurobindo was one of the highest yogis of modern times. It is his birthday on August 15, the same day as his motherland India got her Independence. It was no coincidence. His teachings were so profound that it is simply not possible to comprehend them with an ordinary mind. Divinity in his Chart: So one may ask, can we see this immense divinity shine through his birth chart? Besides a beautiful Saraswati Yoga (poetry) and exalted Jupiter in Lagna (grace of Guru), there are two additional, very clear indications of his esoteric potential: 1) Dharma of Ketu is in the 4th Bhava of moksha and 2) Moon is in the Nakshatra (constellation) of Moola. His Ketu and Moon gave him access to the deepest and highest realms of consciousness and Reality. Moola constellation is literally the center of our Milky Way galaxy. I have no faculties to summarize or write a commentary on his profound teachings. So I have given here my favorite snippets from his books The Life Divine, The Psychic Being and Synthesis of Yoga about two very fundamental concepts to his teachings known as Supermind and Triple Transformation. Supermind: this refers to the necessary conduit, mediator or connection between satcitananda (truth-consciousness-bliss) and the manifest creation. It is a plane that resides between the “upper hemisphere” of pure being and consciousness, and the “lower hemisphere” of life in the universe (mind, life, and matter). This plane is what enables the Real Ideas of the Supreme to manifest as forms of that force in creation. Supermind is a plane of perfect knowledge that has the full, integral truth of anything. It is a plane that Man can rise to above his current limited mentality so he too can have perfect understanding of a matter that enters his mind seemingly out of nowhere through revelations of that truth. It is not only the means of creation, but a force and power that is leaning down on the earth’s consciousness, and which we can open to in order to transform the various aspects of our being, as well as instantly or very rapidly set right the conditions of life, creating sudden good fortune (“instantaneous miraculousness”) for the person opening to it. 1) Psychic Transformation that culminates with the discovery of Psychic being (evolving soul). With Psychic Transformation, he comes in touch with an inner Guide that constantly indicates what actions to take and what to avoid. As a result of connecting to the transcendent divine, he experiences a deep pleasure and bliss, causing him to want to surrender to the Divine Will and Intent. 2) Spiritual Transformation: As a result of making the psychic change, his mind expands and he experiences knowledge not through the hard churning of thought, but through light, intuition, and revelation of knowledge, culminating in supramental perception. Light enters from the heights and begins to transmute various parts of his being. 3) Supramental Transmformation: After making the psychic and spiritual change, he makes the supramental and most radical change. The mind cannot easily perceive this possibility, as it goes beyond past spiritual principles and experiences. It is basically a complete transformation of the mind, the heart, the emotions, and the physical body. Whatever he perceives is able to manifest as a reality. The supramental transformation culminates in the change in the very cells of the body, ushering in a new form of human, devoid of the functioning it now exhibits, replaced by their spiritual equivalents. It is the ultimate transformational change. At that point, a Gnostic being is fully realized, as is a collective, Divine Life on earth. This entry was posted in Uncategorized on August 14, 2014 by illuminatelifetoday. Today, August 10 is the festival of Raksha Bandhan. Raksha means protection and Bandhan means a bond or relationship. 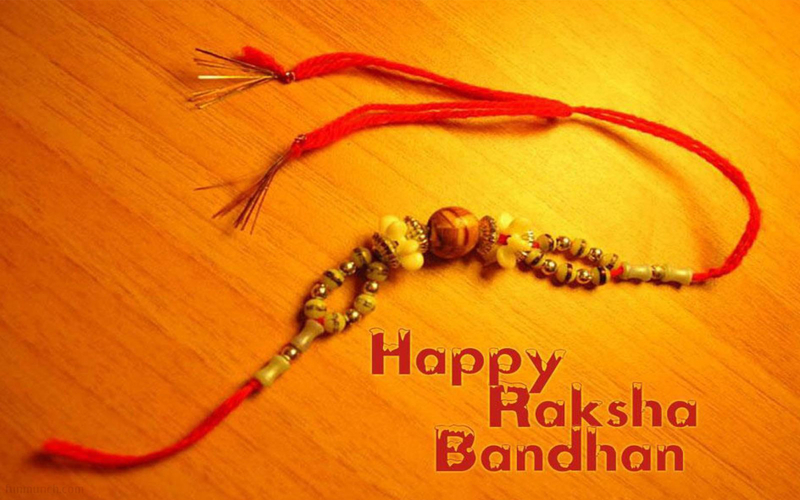 On this day, women tie a thread (called Rakhi) around the wrist of men and pray for their well-being. In return, men vow to protect them. Although, mostly thought of as a custom between a sister and a brother in modern times, historically it was not the case. Draupadi tied a Rakhi to Krishna and Kunti tied a Rakhi to her grandson Abhimanyu before the great war of Mahabharata. The festival is celebrated on the Full Moon (Poornima) day of the Shravana month of the Vedic calendar. This year’s exact Full Moon takes place today at 11:09 AM pacific time in the constellation of Dhanishtha. Dhanishtha inspires us to let go of our own song and reverberate with the Divine music. The symbol of Dhanishtha is a mridanga or a flute or a drum. These instruments are hollow from the inside and have no sound of their own. They reverberate and hum with the sound played by the musician. Dhanishtha is preceded by Shravana. In Shravana, we calm ourselves down and listen to the cosmic silence. But in Dhanishtha, we go one step further and offer ourselves as a vessel for the Divine music to play. This entry was posted in Uncategorized on August 10, 2014 by illuminatelifetoday. What is the difference between Western and Sidereal (Indian or Vedic) Zodiacs? There is so much confusion among astrologers and non-astrologers alike on this topic. And it is a very sensitive topic. I will try to shed some light on this in plain English. Tropical or Western Zodiac – this zodiac is based on the seasons. It is based purely on relationship between Earth and the Sun. There is no role of Moon or any stars in the sky. If we extend the equator of the Earth into the skies, that plane is called Celestial Equator. Point in the sky where Sun crosses the Celestial Equator while moving ‘upwards’ is called Vernal Equinox, the first day of Spring. In Tropical zodiac, this point of vernal equinox is considered as the starting point of Aries. There is no connection with the actual stars in the Aries constellation though. The stars in the backdrop of this point of vernal equinox may belong to a completely different constellation. And they do right now. Sidereal or Vedic or Indian Zodiac – this zodiac on the other hand is based on the actual position of stars in the skies. Hence it is called Sidereal (related to stars). When we say ‘0 degrees of Aries’ in Sidereal zodiac, it actually refers to the observable constellation of Aries in the skies. It just so happened that in 285 AD, the Vernal Equinox took place exactly at the beginning point of the constellation of Aries i.e. Sun was right on top of Aries at the time of Vernal Equinox in 285 AD. So the last time both the zodiacs coincided was in 285 AD. Since then, the two zodiacs have been drifting apart. Why? What Caused the Difference? Why do we have a vernal equinox (and hence the seasons) in the first place? This is because of the tilt of the Earth’s axis. And this tilt itself is shifting by 0.014 degrees every year due to gravitational pull of Sun, Moon and other planets on the Earth. Hence, the two zodiacs have been drifting by this amount every year – a term known as Precession of the Equinoxes. 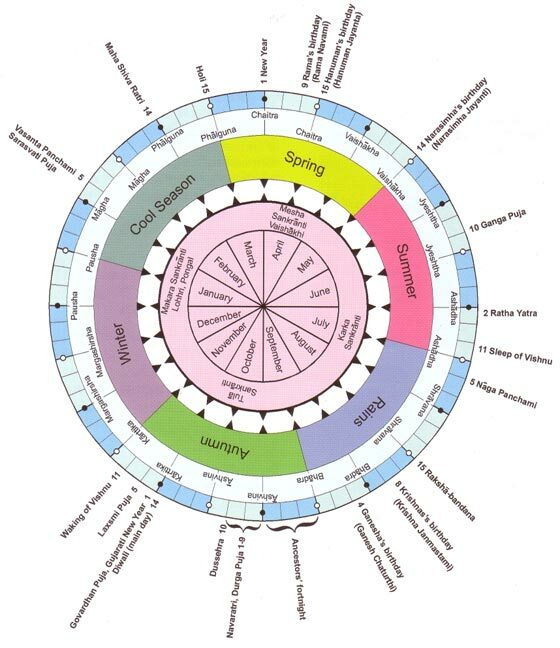 In summary, Tropical or Western zodiac is connected with the seasons (Sun’s position wrt Earth) whereas Sidereal or Vedic zodiac is based on actual position of stars in the skies. Due to the shift in the tilt of Earth’s axis, the two zodiacs drift by 0.014 degrees every year. Last time they coincided was in 285 AD. If you multiply 0.014 degrees by the number of years since 285 (2014 – 285), you will get approx 24 degrees. That is exactly how far apart the two zodiacs are right now. This entry was posted in Jyotish on August 2, 2014 by illuminatelifetoday.